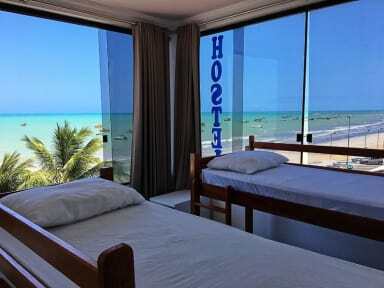 Maraga Beach Hostel, Maragogi, Brazylia : Rezerwuj teraz! Maraga Beach Hostel is best choice in Maragogi! Maraga Beach Hostel is ideal to have fun and exchanging travel tips, and of course, having unforgettable experiences with people from around the world in one of our shared areas. We offer you a shared kitchen and a rooftop where you may chill out in a relaxed fun environment with other guests. We are in one of the most privileged locations of Maragogi, near to some of the most renowned and popular attractions and landmarks of the city such as Maragogi Beach, several travel agencies, bars restaurants, amongst other interesting places of our area. All of our bedrooms include sea view. Services and benefits for an unforgettable moment. Free WiFi in all areas of the hostel, excursions, tourist information and always with the best customer service.